90,000 schools serve breakfast to over 13 million students every day. The growth in breakfast service comes with additional expectations on school foodservice staff and the equipment they rely on. Here are 6 breakfast program solutions for schools. 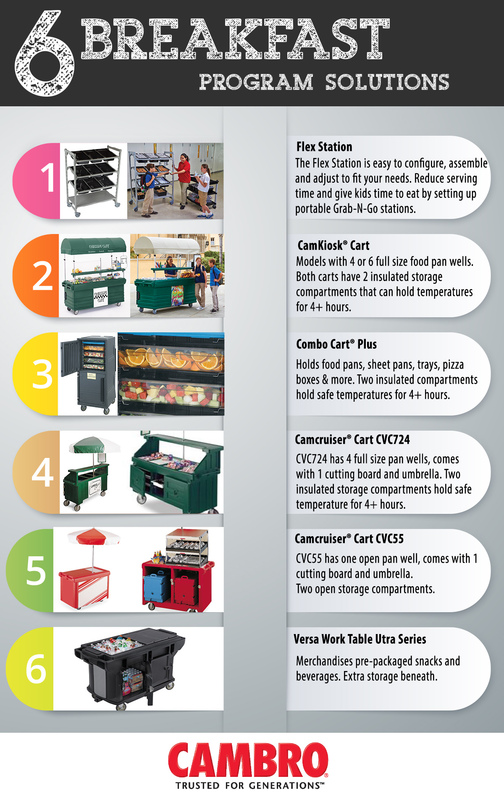 To discuss these solutions, contact your local Cambro Representative or visit www.cambro.com/schools.